The Supreme Court universally sided with a Muslim inmate over his right to grow a short beard in accordance with his religion. 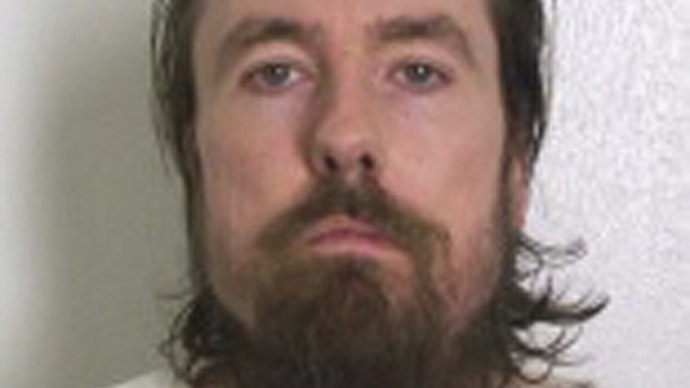 Arkansas prison officials were unable to prove his facial hair could be seen as a security risk, the high court ruled. Gregory Holt ‒ also known as Abdul Maalik Muhammad ‒ wished to grow a half-inch beard for religious purposes, despite an Arkansas law that bans facial hair on all Arkansas Department of Correction prisoners. The only exception to the law concerns those inmates with diagnosed skin conditions. They are allowed to grow quarter-inch beards. He asked for a preliminary injunction against the rule while his case was heard in court. After two appeals courts ruled against him, Holt handwrote a 15-page petition to the Supreme Court that claimed the law violated his First Amendment rights to practice Islam, as well as a federal law passed in 2000 called the Religious Land Use and Institutionalized Persons Act (RLUIPA). Holt chose the half-inch length because California ‒ one of 41 states to allow Muslim inmates to grow beards ‒ proscribes that length, which he argued “would not be a security threat when inmates are allowed to grow large afros and thick head hair.” The Federal Bureau of Prisons also does not have a grooming policy that bans beards. The Obama administration, religious groups and atheists all backed Holt’s petition, the Guardian reported. Justice Samuel Alito wrote the unanimous opinion for the court, ruling that the Arkansas law violated the RLUIPA, which prohibits a state or local government from taking any action that substantially burdens the religious exercise of an institutionalized person unless the government demonstrates that the action constitutes the least restrictive means of furthering a compelling governmental interest. “We readily agree that the Department has a compelling interest in staunching the flow of contraband into and within its facilities, but the argument that this interest would be seriously compromised by allowing an inmate to grow a 1⁄2-inch beard is hard to take seriously,” Alito wrote. "Hair on the head is a more plausible place to hide contraband than a 1⁄2-inch beard, and the same is true of an inmate's clothing and shoes," the conservative-leaning justice added. "Nevertheless, the department does not require inmates to go about bald, barefoot or naked." One of the concerns that the Arkansas Department of Corrections noted was that a beard could be used to disguise a prisoner’s identity. Alito wrote that institutions should require all inmates be photographed clean-shaven upon admittance to the facility, then again after a beard has reached the half-inch limit. In a concurring opinion, Justice Ruth Bader Ginsburg ‒ joined by Justice Sonia Sotomayor ‒ wrote that, unlike the Supreme Court’s divided and controversial 2014 Hobby Lobby decision, noted that “accommodating petitioner’s religious belief in this case would not detrimentally affect others who do not share petitioner’s belief.” In that case, the high court allowed family-owned (or “closely held”) businesses with religious objections to deny health insurance coverage for contraceptives. In its last term, justices also upheld prayers at municipal government meetings. SCOTUSblog ‒ a blog written by legal professionals and students about the US Supreme Court ‒ summed up the court’s opinion in layman’s terms. “Put simply, the prison will not allow him to follow the tenets of his religion and grow a beard. And it didn’t matter, the Court explained, that he could practice his religion in other ways, such as by observing Muslim holidays and having a prayer rug,” Amy Howe wrote for the blog. Holt was sentenced to life in prison in 2010 for for domestic battery and burglary after knifing his girlfriend during a brutal assault, according to the Guardian. He previously spent time behind bars for making a threat against President George W. Bush’s daughters, NBC News reported. He is being held at the Varner Supermax prison, a maximum security institution 80 miles southeast of Little Rock.